When you take your road trips with DHRUV TRAVELS, you get to travel in buses with spacious and comfortable seats. These buses are designed to make your journeys exciting and the drivers are well trained and experienced. Free yourself from the hassles of booking bus tickets and leave that to us. Plus, we offer tickets at the market best rates to clients and ensure that the road journey is enjoyable. 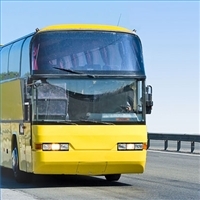 So, for all your bus ticket requirements, advance or urgent, contact us, now.